I've started using this moisturizer because of the SPF 15. I haven't always used sunscreen because I don't burn easily, but that's not a reason to not use it. Though it does have that sunscreen feel to it, it's not thick, so the feeling and smell goes away quickly. It does have some shimmer in it which I suppose is the 'morning glow' aspect to it, but it's not very noticeable. This was the most inexpensive moisturizer with SPF that I could find and I think it's good for the money, but I might try a different one once this runs out, just to see what's out there. I have this in a small sample size which I got in the Ready...Set...STAY! Set. I didn't get to choose the shade, but luckily it came with one in Medium. The texture of this concealer surprised me. It's very very creamy, but not oily. It's kind of a salmon colour which is good for colour correcting and it blends very well. However, it creases, and this may be because I am using a bit too much. This can be prevented by brushing over some powder on top. I've been using this eyeliner in place of my Buxom Lashliner (which I ran out of a while ago). It's doing the job and I like the consistency of this product and its longevity. However, the Buxom Lashliner was great for my lashes and I'll be purchasing it again once this Essence eyeliner is finished. I recommend the Buxom one if you want to grow longer lashes, and this Essence one if you're just looking for a good quality, affordable eyeliner. This is one of my favourite eyeshadows. It's a warm dark brown with gold shimmer. I like to pair it with gold or champagne colours. It's a great go-to colour! I found this at a Rexall drug store. The entire line was on clearance so I picked up quite a few items. 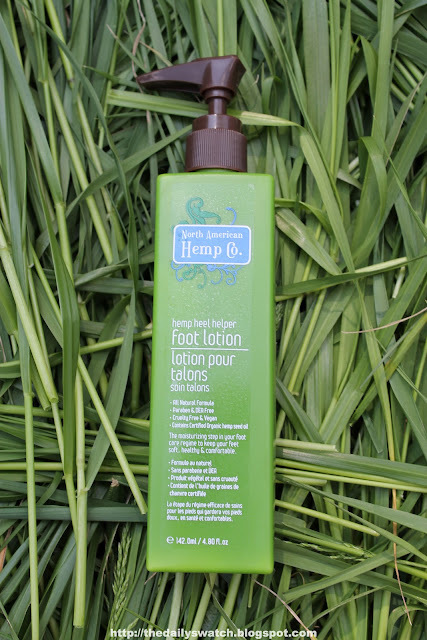 This is a great moisturizer for not only your feet, but your hands, too! I get very dry hands because I wash my hands often, so this lotion helps to keep my hands moisturized. It doesn't feel greasy and absorbs well into the skin. After a few days, my extremely dry hands were smooth again. I definitely recommend this product! I received a small sample size of this from Sephora on my birthday. It also came with a Tinted Lip Treatment in Sugar Rosé. I don't think I ever would have thought about purchasing this if I didn't get it for free. The packaging is very nice. It comes in a sleek lightweight metal tube. It applies nicely and is not sticky. After a while, you will notice your lips are softer and smoother. It smells like lemon meringue pie! This is a very good quality lip balm and if you have very dry lips and need something to keep them moisturized, this may be a good investment for you. I have oily eyelids which worsen during the summer. In order to keep my eyeshadow from creasing, I like using both a primer and a cream base. The thicker consistency helps to keep my eyeshadow from creasing or melting. 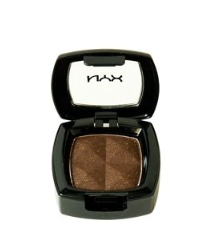 I like this colour because it's a great medium-brown with some shimmer, but not too much. It enhances darker neutral colours and makes them more intense. It comes with a lot of product, but the packaging is enormous. This makes it difficult to store, but you can't beat the price! 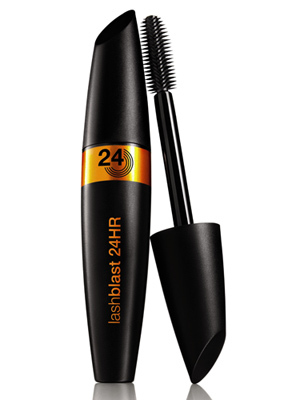 This mascara is similar to the original Lashblast in that the packaging and brush are the same, but the formula is very different. The formula is more 'wet' and it acts like a waterproof mascara. It will hold a curl very well and last as long as you need it to, but it is very difficult to remove. You'll certainly be able to remove most of it, but your lashes will hold onto a thin layer of it. I haven't yet been able to discover a way to remove it completely, but it does flake off by morning. There was so much hype about the Fit Me line when it came out last summer. I haven't heard many rave reviews about the line, but it must be doing well enough to still be sold in stores. I saw this line drop in price drastically after it was released and after some marketing, the price went back up. Luckily I got this for $5 at WalMart before it went back up in price. I just wanted to see if this line was any good and I was pleasantly surprised. Although this is the only product I've tried from the line, I'm tempted to try something else. This powder is finely milled and smooth. It creates a great finish and did seem to adjust to my skin tone. I love the sugar lip treatment. I received this as well for my birthday and I just love it! !